The LA SKINS FEST conducted the 7th Annual Native Writers Pitch Workshop during the festival. The pitch workshop is designed to give writers information that will grow their careers, give access to talent development, and the capacity to pitch to creative executives. The pitch fest consisted of three components that enhance the participant’s writing career. The first portion of the workshop was an introduction to pitching and a TV showrunner discussed how to pitch to network executives. This portion gave insight into providing the best presentation when pitching new projects. The second portion of the workshop was the script pitching session. 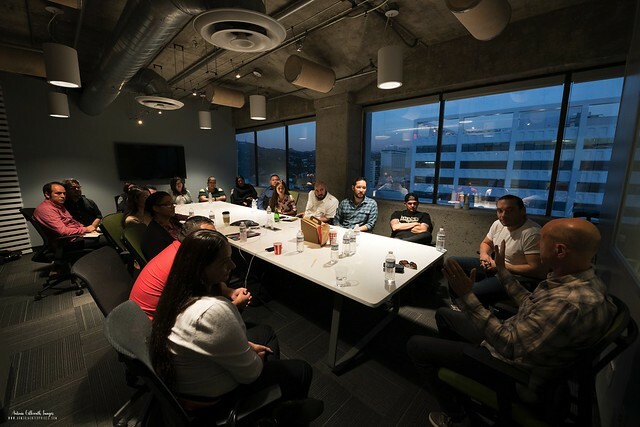 The pitch fest allowed Native American writers to pitch their scripts, projects and themselves to several network and studio development executives, as well as managers, and agents. This year’s participants included executives from HBO, FOX, ABC, STARZ, Bad Robot, Warner Horizon, Turner and more. The third portion of the workshop had participants meet with a television writer who discussed his career path in writing for the industry. We opened the event to the public with a staged reading of TV pilots and feature scripts from the 2018 Native Writers labs. The stage reading was followed by a food and drink reception that allowed further discussion of script work and visiting with guests.